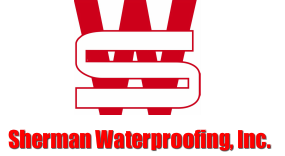 About - Sherman Waterproofing, Inc. In an industry filled with competitors, we have solidified our well being through providing high quality work consistently. We use a process involving various chemicals to assist in the prevention of water damage to structures and their surfaces called the "Building Envelope." The "Building Envelope" is a combination of roofing and above & below grade waterproofing. The dampproofing process acts as a barrier, protecting interior areas from water and weather intrusion. The process includes caulking, masonry, concrete, and EFIS with sealants. Waterproofing also involves installing clear, Elastomeric, epoxy, cementations, and asphalt coatings.